"Best in Preamplifiers", your wait is over. The Dual Chassis design completely separates all power supply, microprocessor and control circuits from the pure audio circuits for total noise isolation. To further aid in channel isolation the circuitry for both channels is totally separate, physically isolated and shielded. The C-500 incorporates two identical power supplies one for each channel, to help assure total channel isolation. Four balanced high level inputs and three balanced main outputs are provided. Four high level unbalanced inputs, two unbalanced outputs as well as listen and record processor loops are included. The C500 contains two different shielded precision Phono Preamplifier Circuits. One is designed for low output Moving Coil Phono Cartridges and has selectable resistance loading. The second Phono Preamplifier is for Moving Magnet Cartridges and has selectable capacitive loading. Both circuits use the latest designs to provide the lowest possible noise and distortion. The RIAA Correction Equalization Circuitry utilizies 0.5% tolerance resistors and 1% capacitors for an extremely flat frequency response. Volume levels are controlled by a Multi-Stage Precision Digitally Controlled Attenuator System with an Optical Encoder Rotary Control. This helps to assure a tracking accuracy between channels of 0.1dB, while providing 213 individual 0.5dB steps of change in the volume level and all of this with no noise as the volume level is changed. Precision Parts All resistors are precision metal film type. Low dielectric absorption film capacitors are used in all critical circuit locations. The famous McIntosh Illuminated Glass Front Panel ensures the pristine beauty of the C-500 will be retained for many years.The Illumination of the Front Panel is accomplished by the combination of custom designed Fiber Optic Light Diffusers and Light Emitting Diodes (LEDs). This provides even Front Panel Illumination, together with the extra long life LEDs. 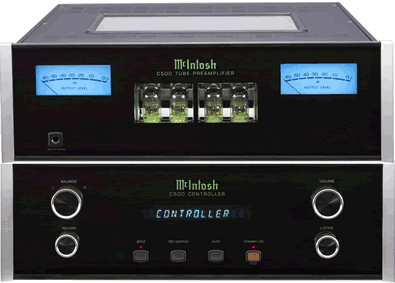 Now you can take advantage of traditional McIntosh standards of excellence in the MC1.2KW Power Amplifier. The 1,200 watt high current output will drive any high quality loudspeaker system to its ultimate performance. The MC1.2KW reproduction is sonically transparent and absolutely accurate. The MC1.2KW is fully balanced from input to output. It consists of two matched power amplifiers operating in push-pull with their outputs combined in a McIntosh Autoformer. The double balanced configuration cancels virtually all distortion. 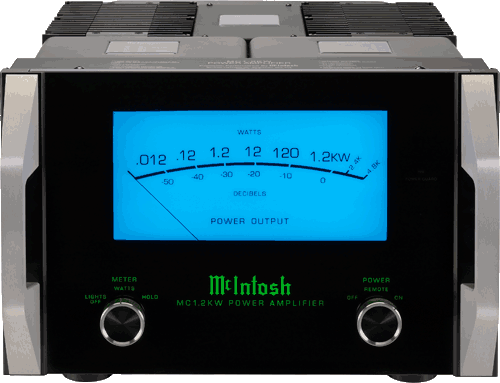 The patented McIntosh Power Guard circuit prevents the amplifier from being over driven into clipping, with its harsh distorted sound that can also damage your valuable loudspeakers. A regulated Power Supply, a very large Toroidal Wound Power Transformer and very large capacitors ensures stable noise free operation even though the power line varies. The Illuminated Power Output Watt Meter on the MC1.2KW is peak responding, and indicates the true power output of the amplifier. The Peak Watt Hold Mode allows the meter to temporarily stay at the highest power output and then slowly decay. The Front Panel Meter Illumination may be switched Off at any time. The famous McIntosh Illuminated Glass Front Panel and the Stainless Steel Chassis with Super Mirror Finish ensures the pristine beauty of the MC1.2KW will be retained for many years. Power Guard Clipping is prevented. The High Frequency Section utilizes a patented Column Design with multiple three-quarter inch Titanium Dome Tweeters and two inch Midrange Inverted Titanium Dome Drivers. 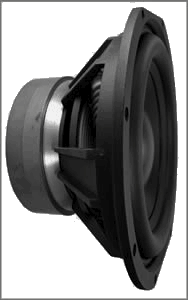 Since the audio power fed to a column is distributed among all the drivers, each driver does not have to work as hard, resulting in greater power handling capability and a dramatic reduction in distortion. The Sound Waves from the Column produce a Cylindrical Wave Front with a stable symmetrical horizontal sound dispersion to minimize undesirable floor and ceiling reflections that could detract from a stable sound image. 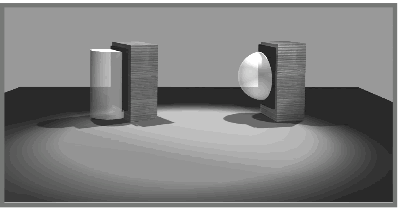 In the illustration the Loudspeaker on the left side produces a Cylindrical Wave Front and the Loudspeaker on the right side produces a conventional Spherical Wave Front. The Low Frequency Section of the System consists of two 10 inch Woofers. They have a large magnet assembly and long cone excursions with very low levels of harmonic distortion and frequency response down to 16Hz. 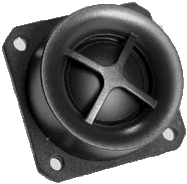 The Woofer also incorporates McIntosh's Patented LD/HP2 Magnetic Circuit Design. Finite Element Analysis and testing resulted in a design concept which utilizes a pair of aluminum shorting sleeves in the magnetic circuit. The sleeves virtually eliminate the negative influence of the fluctuating voice coil field on the permanent magnet field. This results in lower distortion due to more linear magnetic flux in the voice coil gap. Additional benefits are less volume compression due to improved heat transfer through the sleeves and a cooler operating voice coil. Both measurements, as well as critical listening, reveal ten times less distortion than previous designs. A good example of this low distortion is incredible smoothness and clarity in the reproduction of the human voice. Both measurements, as well as critical listening, reveal ten times less distortion than previous designs. A good example of this low distortion is incredible smoothness and clarity in the reproduction of the human voice. Power Handling 1200 Watts of power into unclipped program. What was true in 1949 remains true today; customers trust McIntosh to combine extraordinary engineering and performance with heirloom-quality construction in every product.